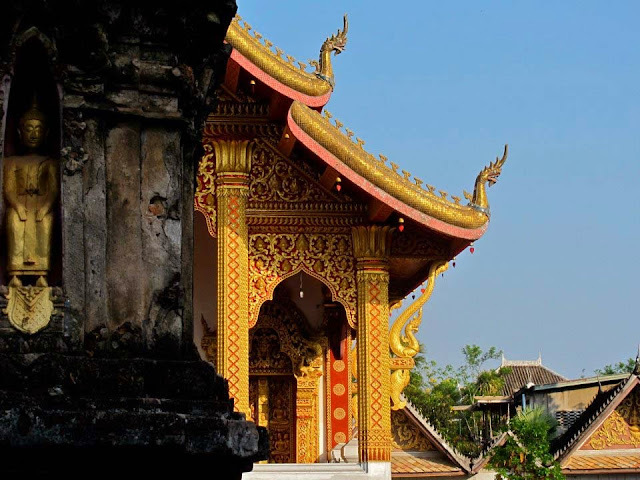 Come with me and see exclusive images, to learn about Luang Prabang the historic and entrancing town in Northern Laos. My recent trip uncovered the mysteries of a mainland Southeast Asia country now emerging from the mists and vicissitudes of history. With thirty-nine (and counting) Buddhist temples and monasteries, elaborately decorated palaces, a rich spiritual life and intact culture, the region offers peace and tranquility framed by the Mekong River and endless jungle. 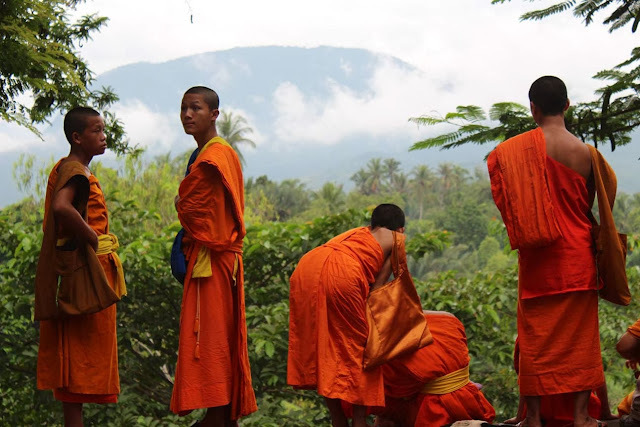 The hundreds of handsome young Buddhist monks, novices and students who live in the historic monasteries of Luang Prabang, bestow a calm sense of Theravada principles of 'detachment from stress' and 'humility in your surroundings'. In addition to their silent and joyful presence, saffron and bright yellow robes add a jolt of color and exuberance to the townscape. 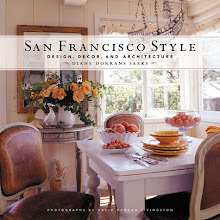 Photographed exclusively for THE STYLE SALONISTE by Diane Dorrans Saeks. 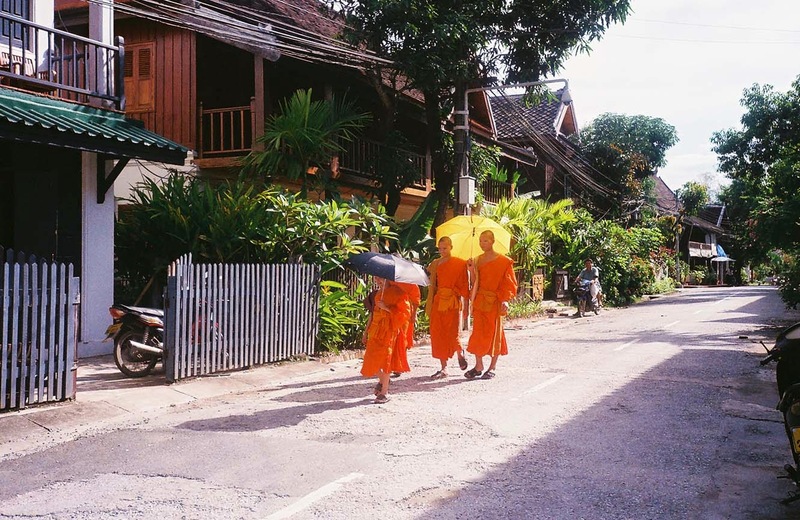 I’ve been impatient to go to Laos and Luang Prabang for some years. I was especially curious after visiting neighboring Burma and Cambodia. I recently reported on Cambodia and Burma, two countries like Laos emerging from terrifying histories. Historic temples and pagodas and lovely people were exciting—and discovered in remote regions very happy people in spite of decades of horror. Buddhism, a focus of their beliefs, speaks of forgiveness and living in the moment. 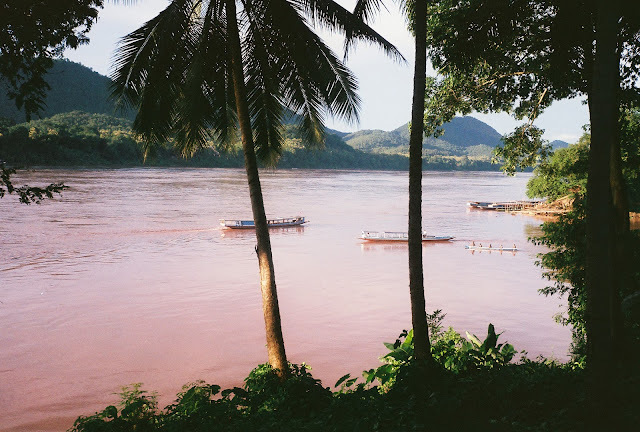 Laos turned out to be equally peaceful, architecturally rich, surprising in its calm beauty, and culturally inrXR—and everyone I met in Laos had warmth, genuine charm and no sense of the weight of history. 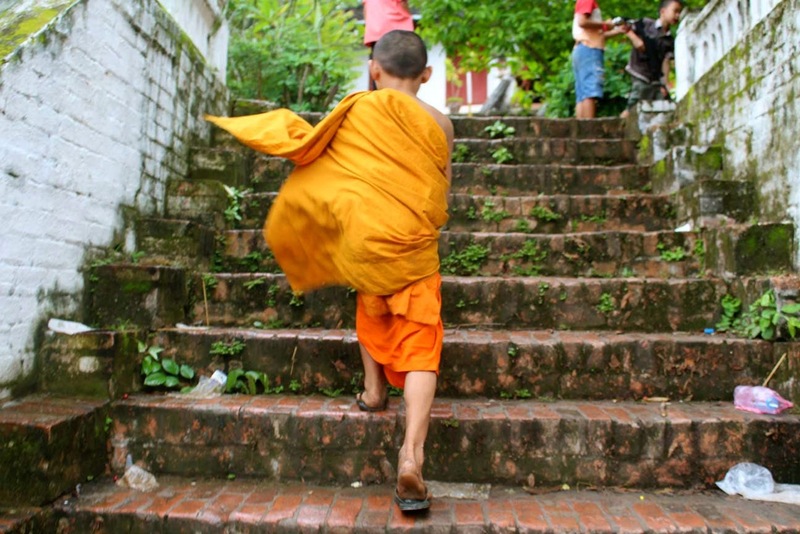 I set off from California to Laos to delve into the northern town of Luang Prabang. I’ve included my photographs exclusively here. And for the adventurous, I’ve provided my list of shops, what to buy, books, where to dine, cafés, and suggestions below. Before I departed I conducted research on Laotian history, read current reports online, read books, but today’s reality of Luang Prabang were a mysterious taunt, a mystery, unknowable. After all my reading, a sense of the current mood and daily life was evanescent. Recently Laos called. It was time to go. My trip, planned carefully but with time for meandering, wandering, encountering and lingering offered a setting and a country of great beauty, scenes of rapture and reverence, temples, monasteries, and a Laotian culture rich in meaning and devotion. Where: Luang Prabang, Laos. Twenty degrees north of the equator. What: The next ‘place to go’. 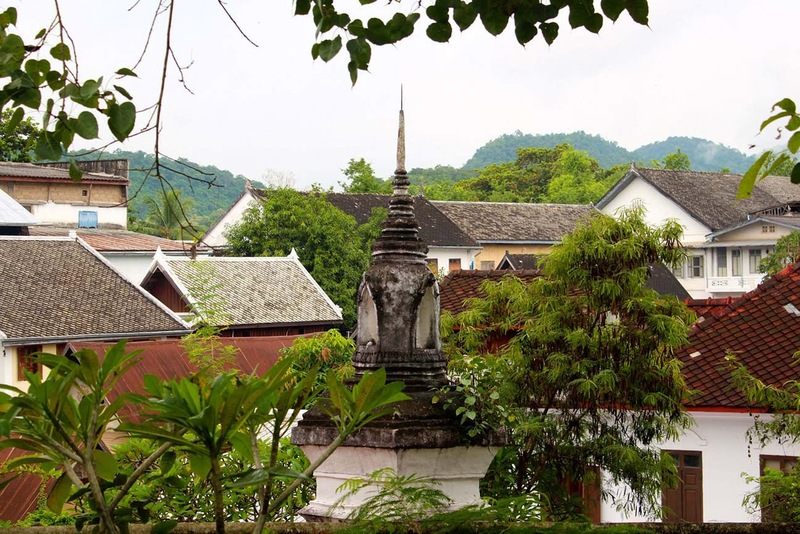 Why: The town of Luang Prabang is the former royal capital of Laos. Palaces, heritage. More than sixty temples and historic monasteries adorn the region. Silent monks. Religious observation. 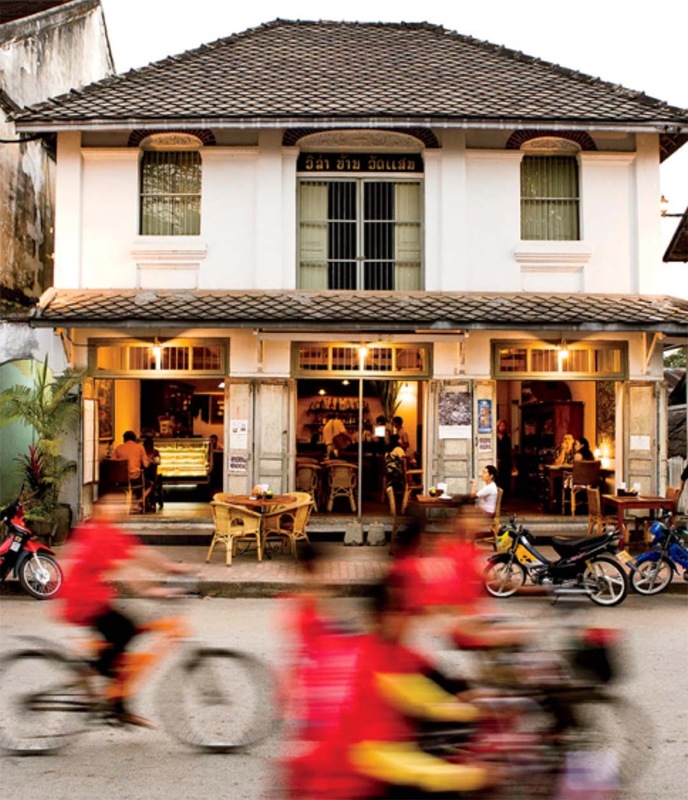 Snapshot: The town, in the far north of the country is nestled on a peninsula shaped by the Mekong and the Nam Khan rivers. When: I propose that you go soon. Check out the slightly ‘off’ seasons (September, for example) when few tourists are there. Spring and fall are lovely. Check out weather charts. 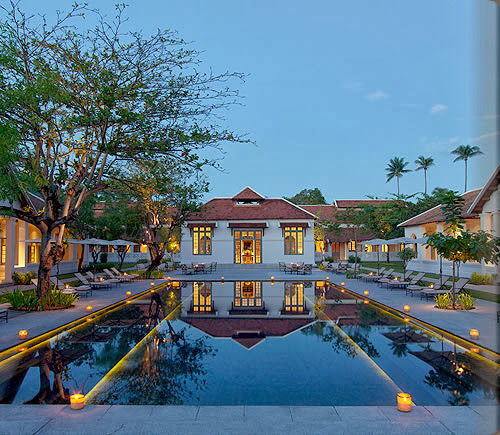 I discovered the delightful and historically significant Amantaka hotel, part of the Aman Resorts group. I knew they would take good care of me. The temples and monasteries would be my focus—along with French Colonial buildings from the early twentieth century. See all details below. But there were intangibles I could not know in advance. My fears that the totalitarian communist government would be omnipresent, oppressive or restrictive to visitors turned out to be unfounded. I discovered a rare South-East Asian town of great beauty—untouched by Western culture, but with graceful and UNESCO- protected historic temples, a living vivid culture, and architectural relics of its French colonial past. 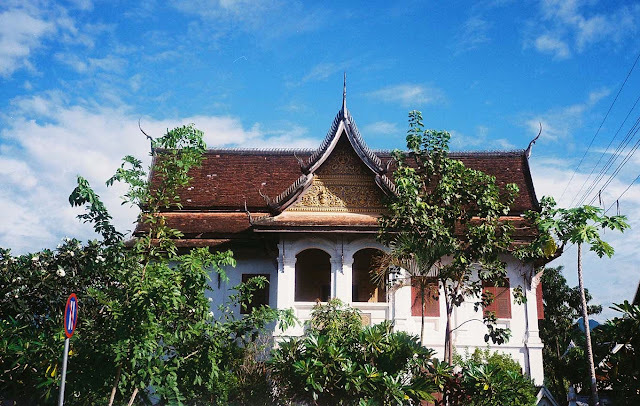 I found intriguing Lao people, living crafts, a charming antique dealer, a private hotel, Amantaka, with a sense of the past, and dusty backpackers in French-influenced cafés bent over iPads. I did not see many tourists. No groups. 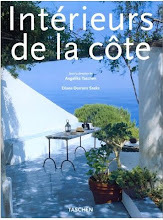 I took my time to explore and to stop for hours reading and writing on café terraces (see my favorites below) ordering croissants or fresh lime soda drinks. I have endless tolerance and pleasure in temple wandering. France lingers on with fresh-baked baguettes, and fruit tarts. The Lao cuisine—similar to Vietnamese and Thai—is rich in flavor, and highlights fresh vegetables. 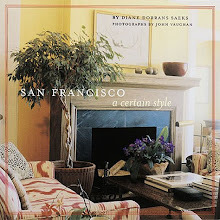 The delicate fragrance of woodsmoke and frangipani and lilies drifts through the tropical air. The mythic romance of Indochina lives on in Luang Prabang’s tropical chic buildings. 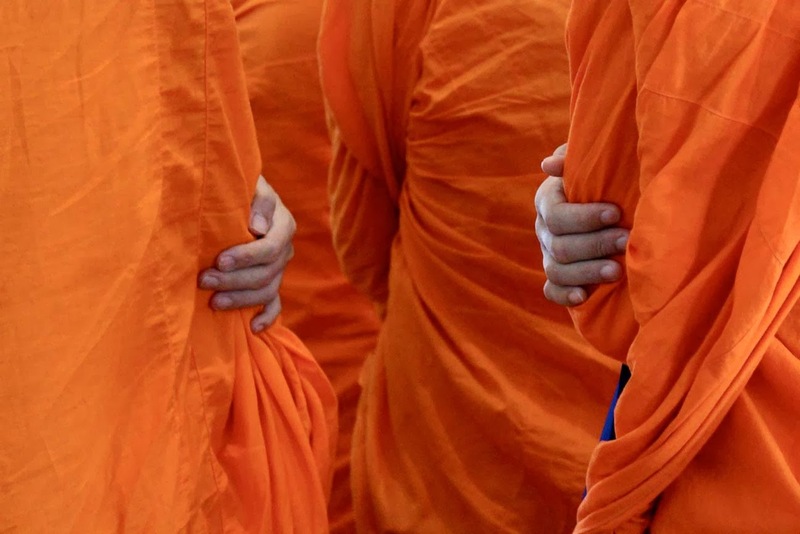 It’s an isolated town of saffron-robed monks. I went on a private river journey up the mighty Mekong on Amantaka’s restored teak river barge. It was a trip of a life-time. With a picnic packed by the hotel, I set off into the unknown. This region is jungle, with just a few slender boats on the river (clay-colored from recent rains), and a cluster of stilt houses along the riverbanks. I did not know what I might find around the bend. We chugged on. Highly recommend this Amantaka boat trip. 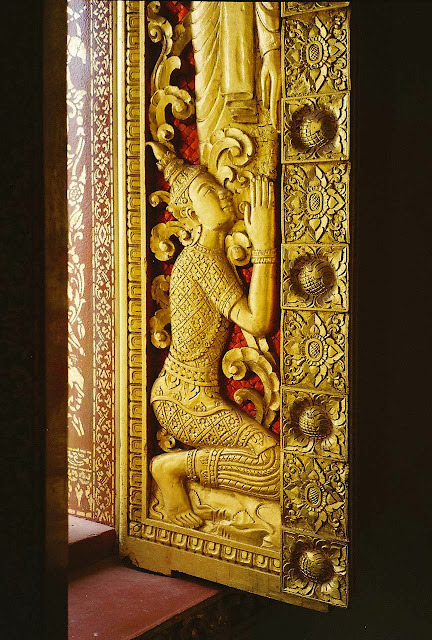 I saw gilded temples, created a mysterious jungle adventure to find the French adventurer who discovered Luang Prabang. And after each adventure there was the gracious escape of Amantaka hotel. 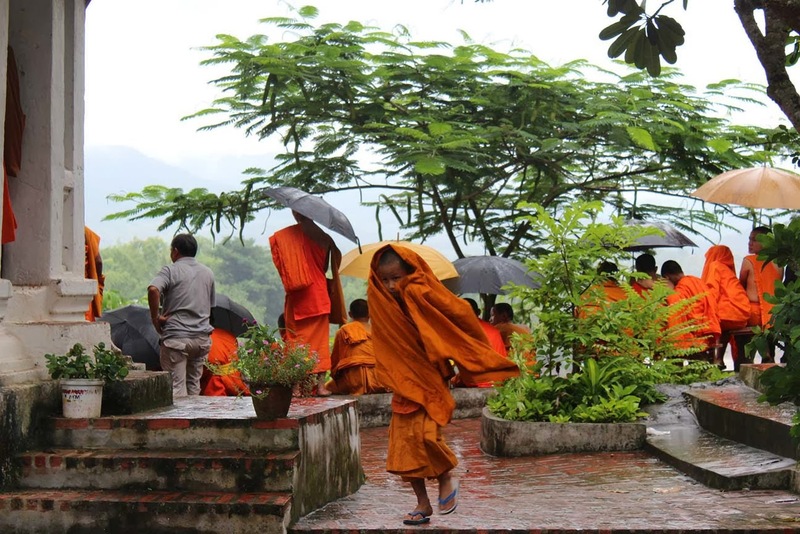 The transition from the rainy season in Luang Prabang appealed to me. Online weather sites suggest storms but it’s the off season, which would mean no tourists. And I discovered, not much rain. 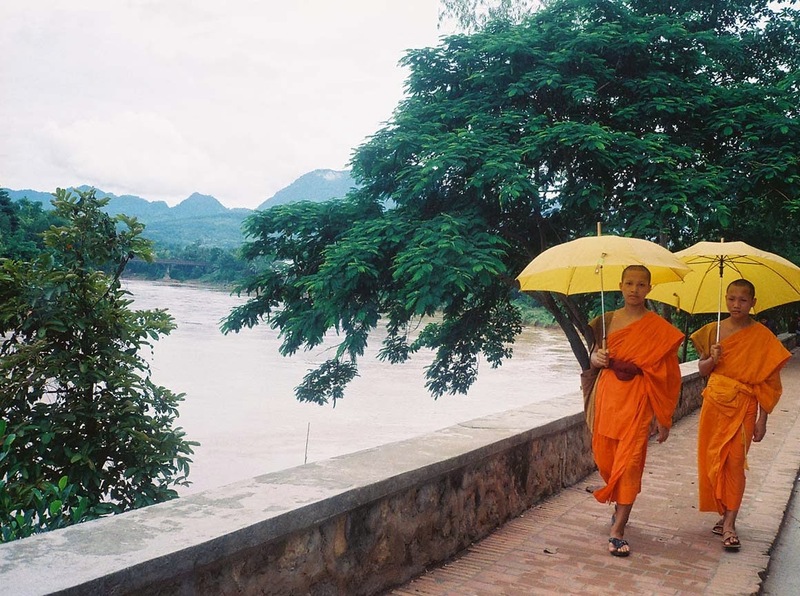 After a few drops, young monks walking around Luang Prabang would raise their yellow umbrellas, and the sun would soon be shining. Other attractive times go are October when the Bun Awk Phansa boat races are held on the Nam Khan and Mekong rivers. Avoid March when temperatures are searing. The Lao New Year festivities in April offer insight into the culture. Laos is squashed rather haphazardly between China, for the north, Vietnam to the east, Burma to the north-west, and Cambodia and Thailand to the west. It has no coastal border. Luang Prabang is in the far north, at the confluence of the Mekong and the Nam Khan rivers. The town is surrounded by mountains and deep jungle. History has not been kind. During the Vietnam War, Laos was carpet-bombed from B-52s with two millions tons of explosives. Now the past is another country. 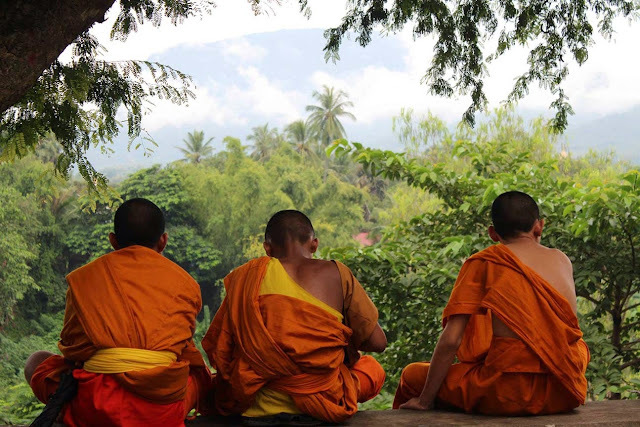 “The (quite mysterious) feeling of peace and serenity that one can so often feel in Luang Prabang is a gift of the Buddha's message. It is here that this Theravada message penetrated deeply into people's everyday life - not so much in doctrine - but in their life, this teaching of peace and renunciation is indeed very present. And we do feel it. 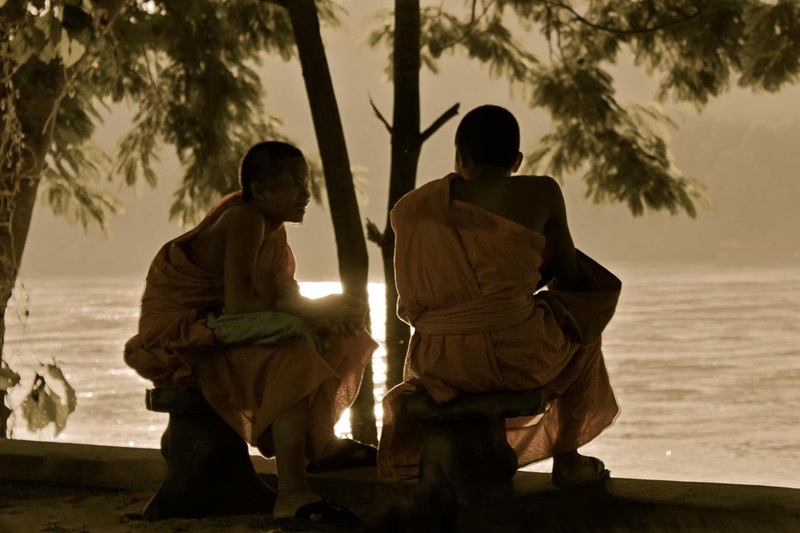 In their way, they have overcome very, very difficult times, they have been victorious.” — Comment December 9, 2013, by Hans George Berger, the great photographer of spiritual life in Luang Prabang, whose remarkably elegant and insightful images of monastic life in Laos will be presented on THE STYLE SALONISTE next week. 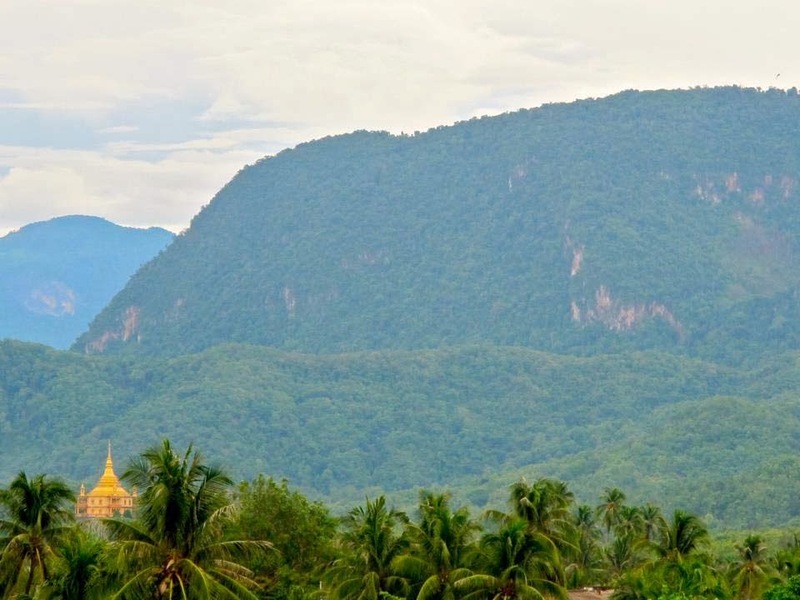 “Sitting high on Wat Phousi hill in Luang Prabang in the golden peace of sunset, I looked down at the heart-stirring confluence of the small, impetuous Nam Khan River and the broad, majestic Mekong, and I thought of Siddhartha’s vision (as outlined in Herman Hesse’s ‘Siddhartha’) that the conjunction and mingling of muddy waters was like life, made up of many streams. Past, present and future were no longer distinguishable one from another: they were all there in the relentless flow.” — Tiziano Terzani, ‘A Fortune-Teller Told Me’ (Three Rivers Press, New York). Henri Mouhot discovered: I was curious to find the tomb of Henri Mouhot (1826-1861) in the jungle north of Luang Prabang. Henri Mouhot, a French botanist, philologist, author and adventurer, had ‘discovered’ Angkor Wat in 1860. He continued up the Mekong toward China. 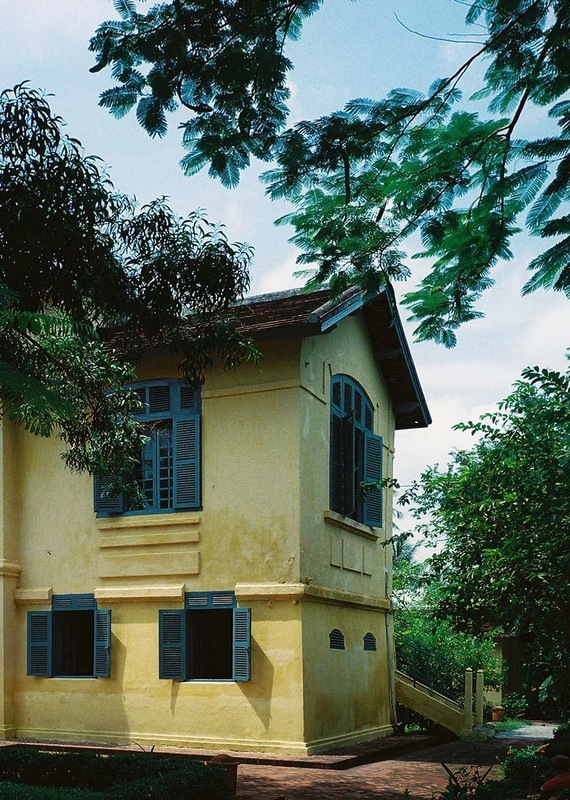 He also ‘discovered’ remote Luang Prabang, later annexed by the French. He stayed in the jungle town for a few months, but after walking north to the village of Naphao, he died in the jungle of malaria in 1861 He was thirty-five. 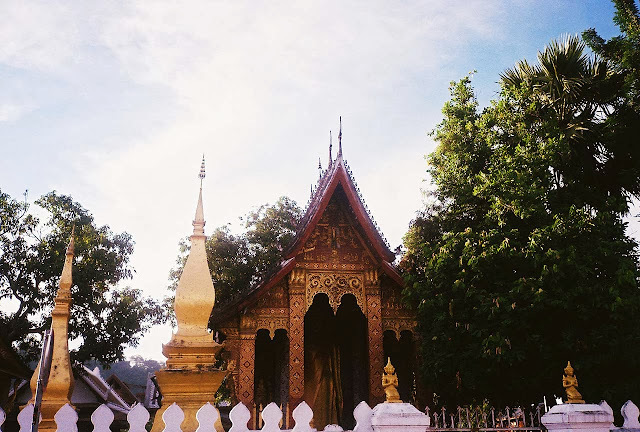 I wanted to see his tomb, recently renovated by people of the French town where he was born.Berenice Olmedo, the highly talented front office manager at Amantaka, provided me with a driver, and we headed 10km north from Luang Prabang. In the fast-fading dusk, we found an unmarked muddy path and plunged into the penumbra of the jungle. It’s safe to say that in the rainy season, no-one goes there except locals chopping bamboo. When it’s difficult, I become determined. The path was flooded by the raging Nam Khan,, so we hacked our way through until we finally found the moss-covered carved white tomb, the jungle rampaging all around, the sound of the river below. It was rather dark and I took some photos, standing in a tangle of brambles. They look a bit sad—and in reality the visit was jubilant. Perhaps during the week I’ll publish them, but for the moment I don’t think they are of the quality I want. We picked some fragrant white flowers from a nearby tree, and placed them on the tomb. I salute you, Henri, bold adventurer. 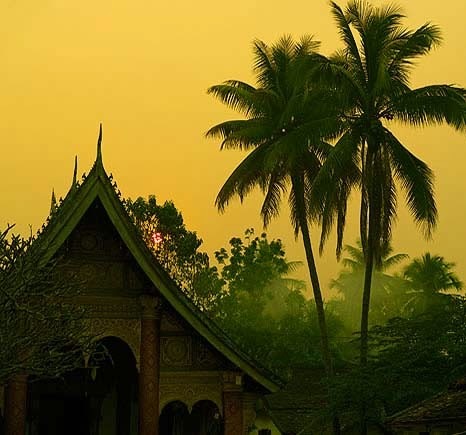 “Luang Prabang lies at the end of a long, curling descent from the mountains and through smoking bamboo groves, on the banks of the Mekong. A main street has turnings down to the river on each side and a pagoda at every few yards, with glittering roof and doors and pillars carved with a close pattern of gilded and painted designs. There is an infallible sense of color, a blending of old gold and turquoise and of many grays.” — Norman Lewis ‘A Dragon Apparent’ (Eland, London, first published in 1951). Practical: The town is small, laid out in a grid, and can be traversed easily. I don’t recall seeing any street signs, so I’m not including street addresses. Ask your tuk-tuk driver to drive up and down the main streets. You can walk anywhere. 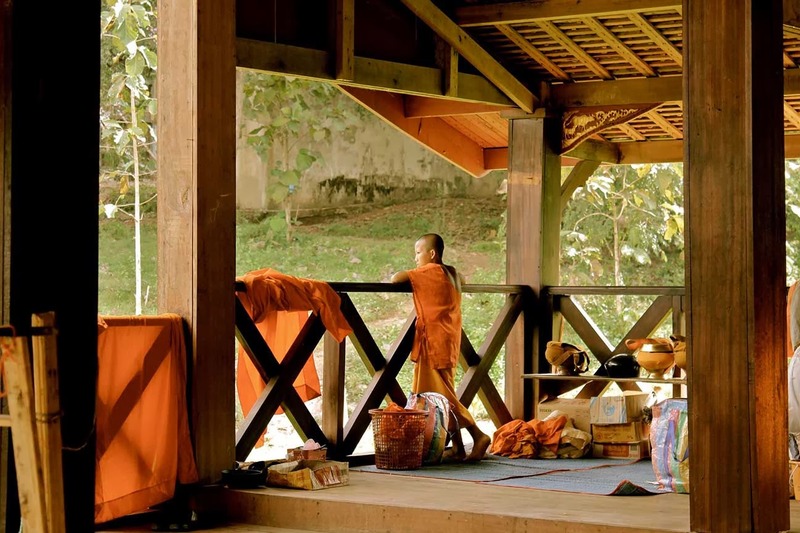 The early morning ritual, the alms-giving ceremony has continued for centuries. 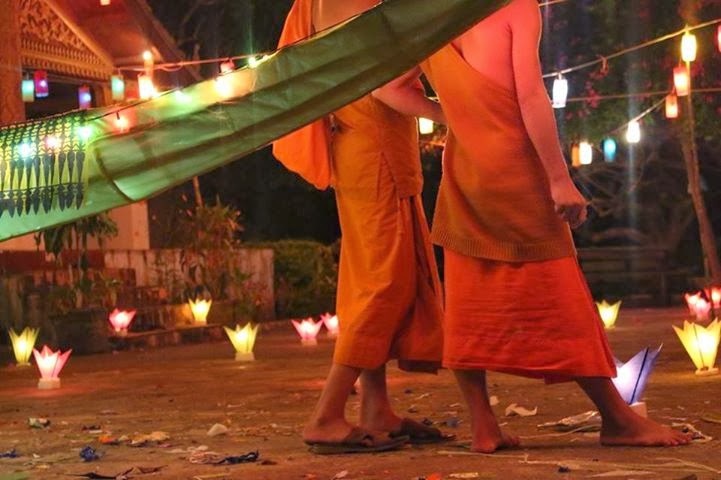 It is a time of devotion as local women offer sticky rice to young monks in appreciation and in prayerful devotion. Villagers offer food to hundreds of monks. While for some travelers it is a highlight, I was not drawn to go and watch this tourist draw. Nikkon and iPhone brigades are not my thing and clicking and snapping at the monks does not seem respectful. 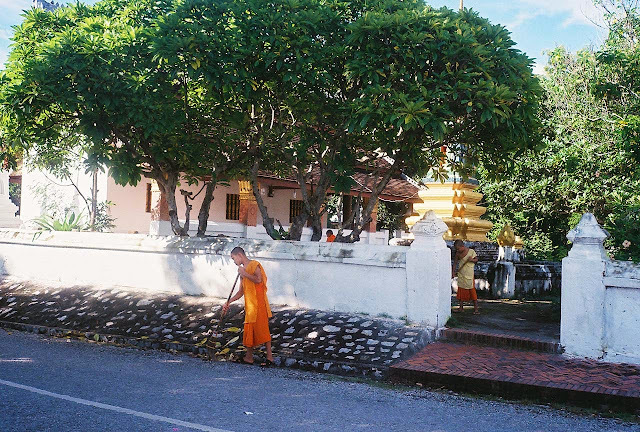 I did not go to watch, but on the way to the airport to the morning of my departure, by chance I saw devoted ladies bowing and quietly offering sticky rice to a small silent group of young monks. There were no tourists. It was authentic, silent, and graceful. I stopped the car and watched from a distance. I honor the tradition, Laos at its most touching. Above, images of monks throughout the year by Bere Olmedo, published here exclusively and with permission. 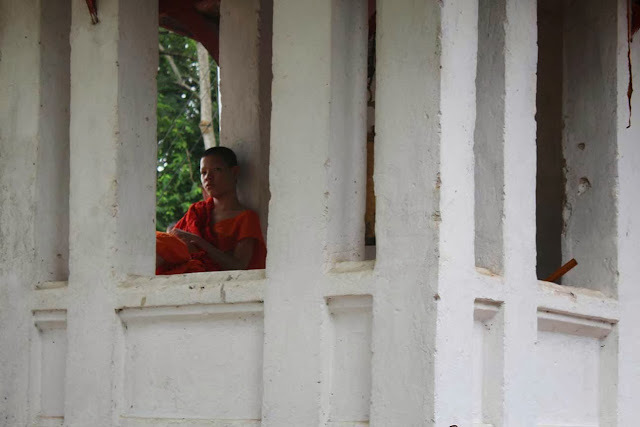 I found the peaceful tropical setting of Luang Prabang induced quiet reflection, with no reason to dash about. I wandered along quiet streets, past temples where monks swept leaves, glancing ahead to see golden temples, a colonial house behind a thatch of bougainvillea. I love to travel to places that are pure discovery—with no fixed image in my mind. My friend Patrice is a Luang Prabang antiques collector and a lover of beautiful things. I loved visiting Pavillon de Jade. 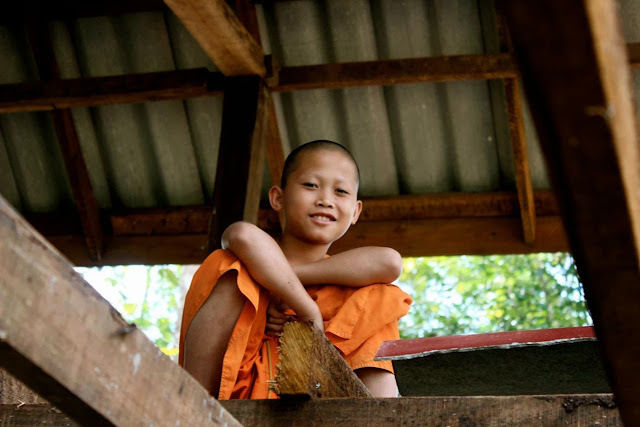 M. Patrice, who grew up in Vientiane and now lives in Luang Prabang, is someone you must meet. I am wearing an embroidered skirt I bought in Mandalay last year. It's similar to the woven skirts worn by Lao women. 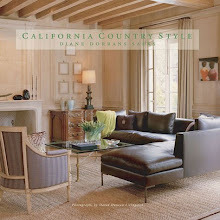 Wearing it enhanced the feeling of stepping outside my California life and persona. One afternoon I took the Amantaka tuk-tuk for a circuit around the peninsula, stopping to see old villas along the Nam Khan river, and taking a slow pace around the old town, off the tourist trail. This is an ideal way to get a sense of geography. A friend of mine took a cooking class to learn more about Lao cuisine. I could have spent days wandering through temples. I always asked permission before photographing monks going about their daily life. Many colonial villas have been stylishly turned into pensions and private hotels. UNESCO controls and protects the town, so there’s no neon, no modernization, nothing taller than a palm tree or temple spire. 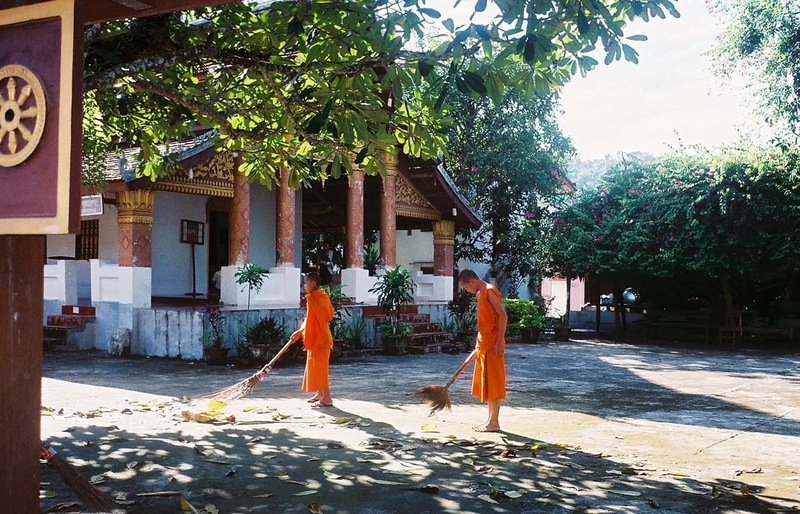 Along some streets, most of the inhabitants are saffron-robed monks, studying, silently sweeping, praying, and quietly following Theravada principles. “I returned to an agreeable, rhythmic nothingness, to taking in nothing but the present moment, I would fall to watching the delicate flutter of the leaves outside, those cool green bowers of which the room seemed an annex, until after a time, fragments of poetry would float and echo through the mind…from the sound of leaves sighing, or sunshine on the veining of leaves casting an inner shadow with such a stabbing brightness.” — Osbert Sitwell, ‘Escape with Me, an Oriental Scrapbook’ (1939) (Oxford University Press). Amantaka is in the center of town and seconds from the legendary Night Market and Day Market, libraries, cultural centers. 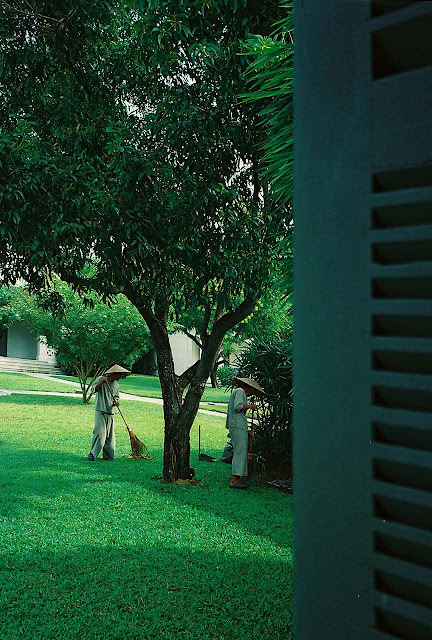 I stayed at the elegant and very understated Aman resort situated in well-kept gardens and an historic UNESCO- protected compound. 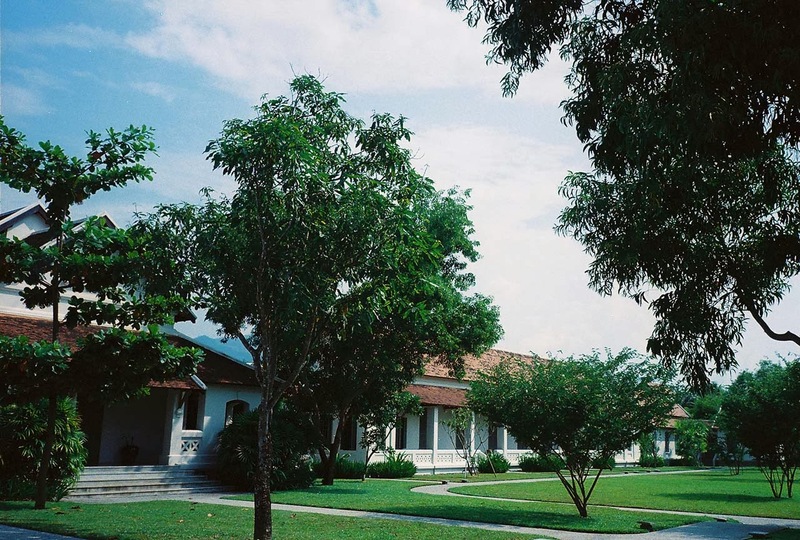 It was built around 1910 and was formerly a hospital of the French colonial administration. 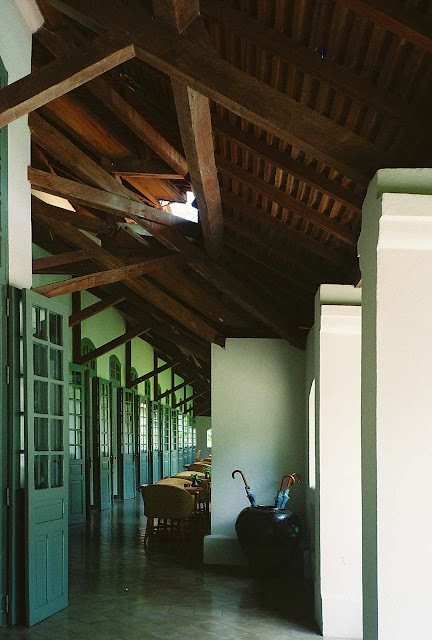 With its terra-cotta tile rooflines, discreet suites, subtle furnishings, and gentle style, it offers quiet respite after a river cruise or a climb up Mount Phousi. 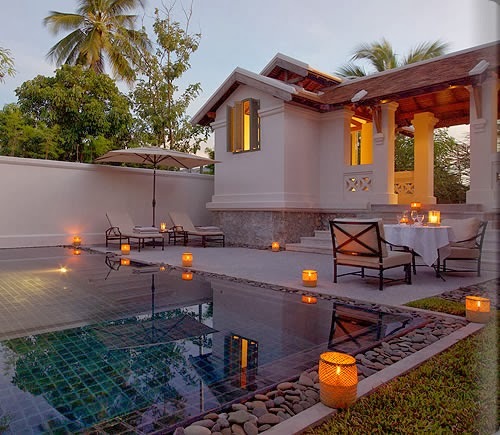 Amantaka is close to markets, museums, and major temples, and an easy walk to the Royal Palace. In particular, the resort staff is superbly trained, and discreet, welcoming guests as ‘house guests’ and quick to take the initiative. Each excursion and lunch was private, custom-crafted and individual. 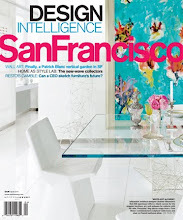 Menus are mere suggestions and the kitchen can make anything you dream up. Front office manager Berenice Olmedo (originally from Mexico City, and trained in hotel management in Switzerland) proposed a river cruise to dramatic caves, along the Mekong. 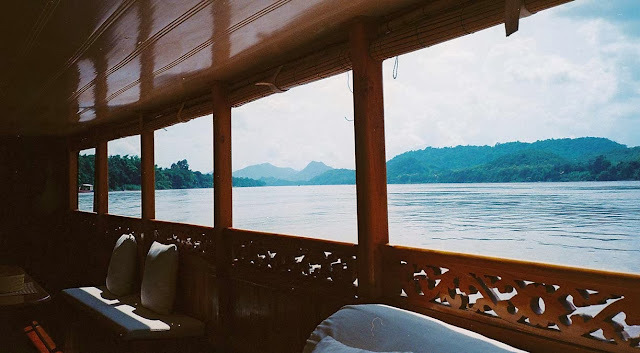 I was sent off one afternoon, with the boat driver and a stewart on the resort’s restored teak river craft. We chugged slowly up the river, with jungle on all sides, never knowing what was around the bend. It was the trip of a lifetime—pure discovery (one of my favorite concepts). The caves were intriguing but the journey was the message. And the river kept flowing. Past and present. Very Siddhartha. 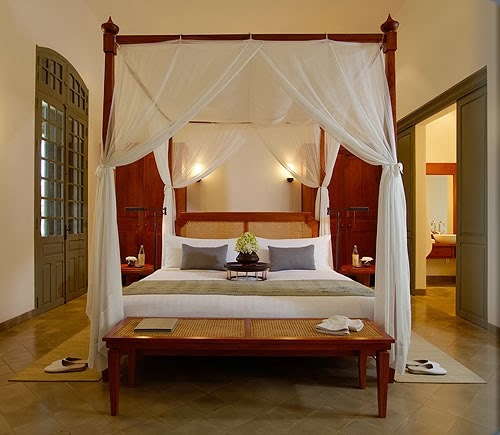 I loved the peace and tranquility of my airy suite, in a former administration building, and the chic Indochine interior décor, featuring fresh white plaster walls, waxed terra cotta tile floors, teak furniture, muslin-draped four-poster beds, polished floors and a reassuring sense of privacy. My suite also had a pool on a shaded terrace. Breakfast included jewel-like intensely flavored tropical fruits, as well as richly textured slabs of wholewheat toast, coffee, and housemade jams. 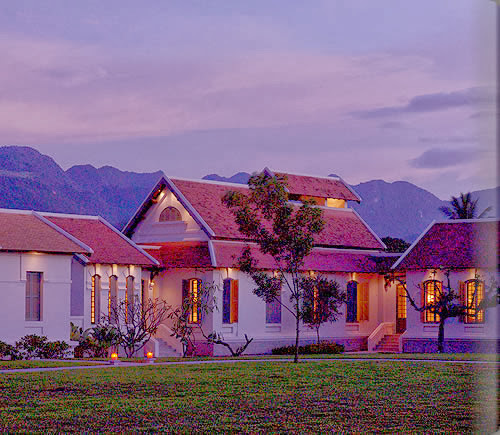 The Amantaka library, overlooking terraces and the pool, is well-stocked with essential reading on Luang Prabang, historic temples and monasteries. 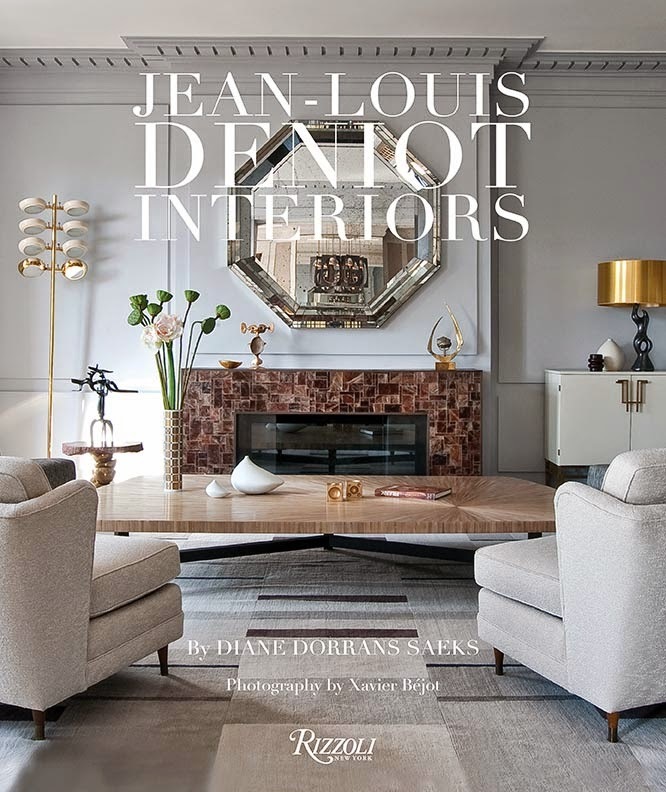 In the hotel boutique I admired the emphasis on quality and rarity of textiles from skilled local weavers, a selection of bronze figures, crafted vessels, books, and fine jewelry. Each evening at Amantaka, a small locally crafted gift was left beside the bed. The most significant was a box crafted of rice paper. I opened it to discover a beautifully handcarved (by a staff member) dragonfly. Beneath its wings, handprinted, was the following: ‘The Luang Prabang dragonfly represents three Theravada Principles: Detachment from Stress, Humility in your surroundings, Impermanence of the moment’. I have kept it beside my desk since my return. 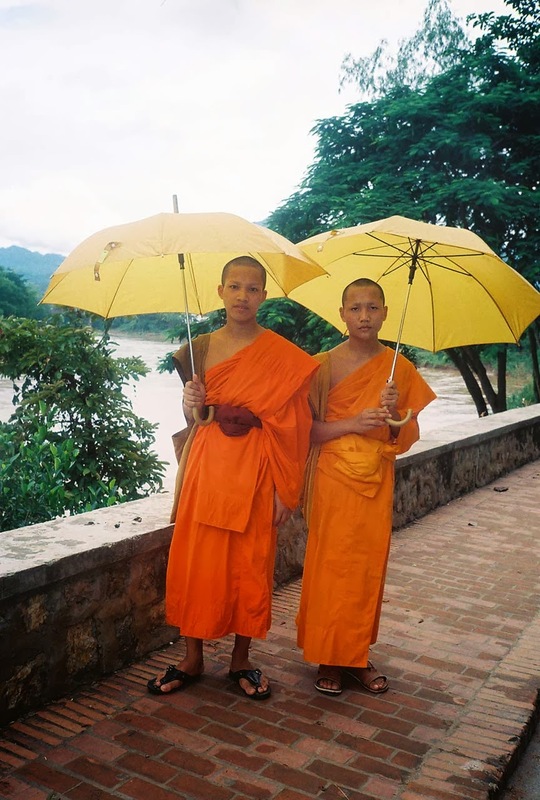 The Amantaka photography collection featuring Hans Georg Berger’s powerful black and white photographs of Luang Prabang monks is an especially thrilling discovery. 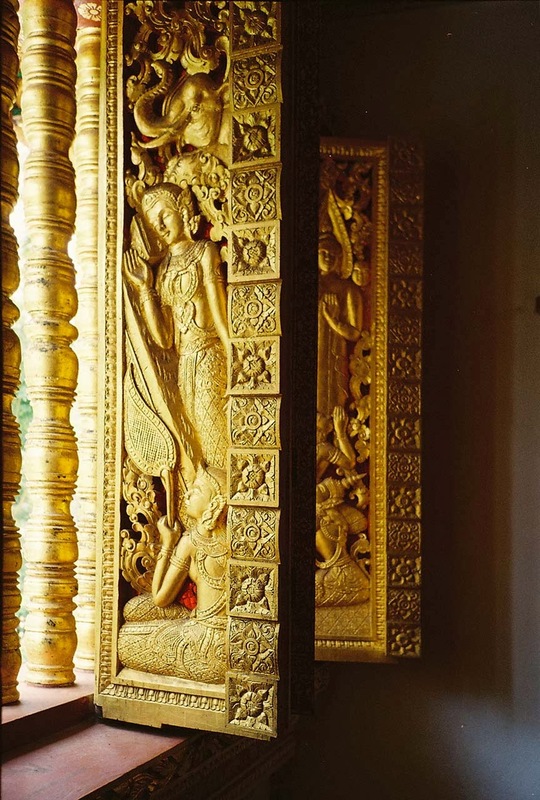 His images are hung in suites and throughout the hotel—offering an intimate encounter with spiritual life and religious devotion. I’ll be featuring Hans’s refined and poetic photography exclusively on THE STYLE SALONISTE next week. Wander around the town, and you’ll find all of these shops, galleries and boutiques. I propose planning a route with the concierge of your hotel, then hiring a tuk-tuk to drive from monastery to café to gallery. Or rent a bicycle. Or dare to get lost—and for a lovely encounter ask locals for directions. The night market offers superb collections of hand-crafted silver (jewelry, bowls, adornments) as well as hand-woven carpets, regional crafts. I loved the simple and practical handmade all purpose bags in natural linen printed with black Laotian calligraphy. Books: Monument Books, www.monument-books.com, has a superb collection of books on Lao culture, temples, plus the addictive novels by Colin Cotterill (the excellent and addictive Dr. Siri Paiboun series of sly and witty and very ‘insider’ detective stories. They are set in the seventies, when the rabid old dogs of doctrinaire communists ruled. I've read the whole series. Highly recommend. www.colincotterill.com. This British author is supporting literacy and healthy projects throughout Laos. Admirable. I’ve read all his Dr. Siri Paiboun books. Discover them now. 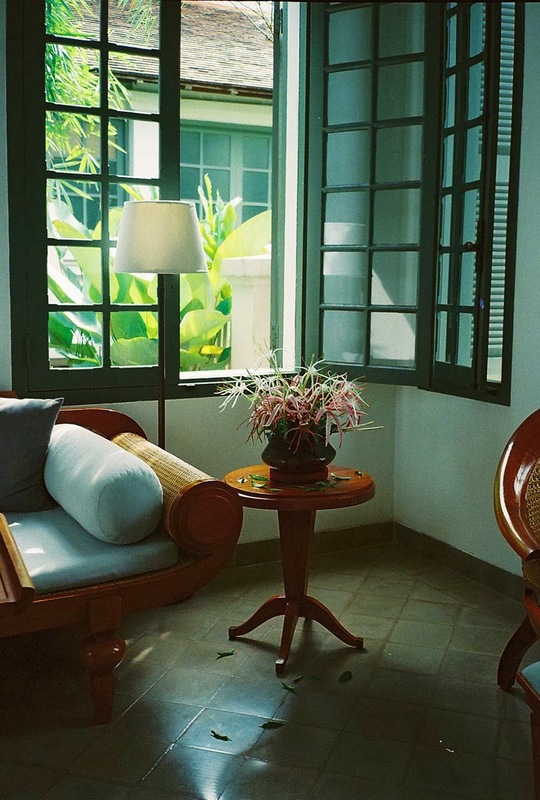 Lao Textiles offers classic Laotian weaving and luxurious décor. 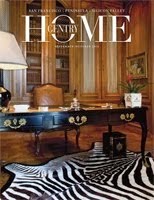 The most elegant interpretation of authentic style. The company, Caruso Lao Luang Prabang, has been a leaded in developing fine handcrafted silverware and carved wood bowls, platters, all simple and lovely. I admire the concept of hiring all the top Laotian craftspeople and adapting their skills to the Western taste. 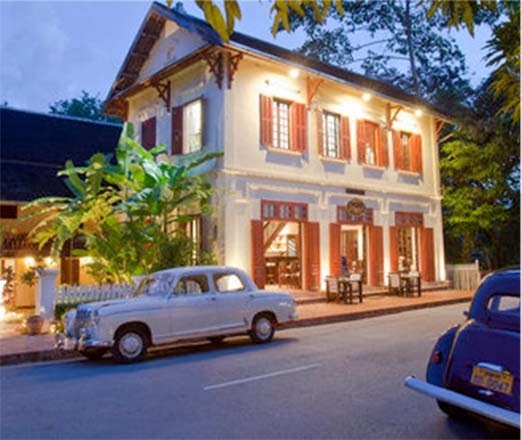 Le Pavillon de Jade, M. Patrice Bleton’s supremely chic antique gallery on a quiet temple-lined stretch of Sakkaline Road, was a rare and thrilling discovery. 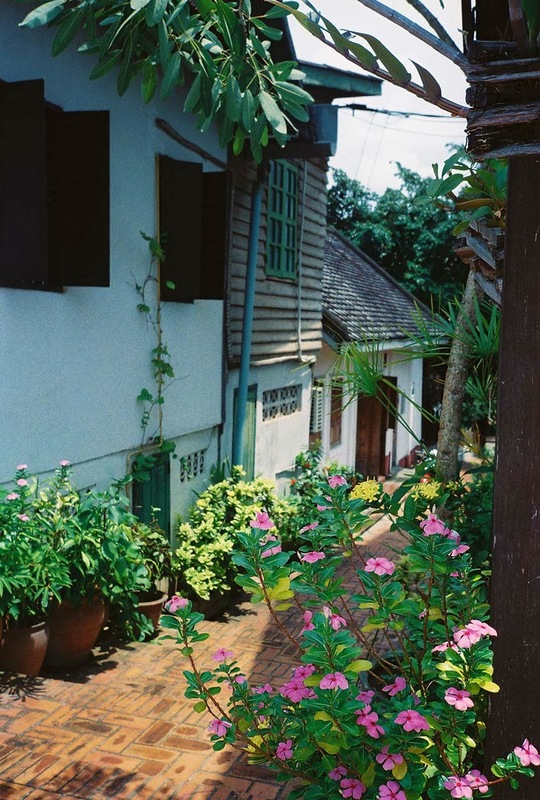 It’s situated in a charming colonial building above the river. Ask to visit the porcelain collection upstairs. 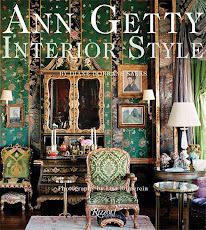 Textiles, antiques, great conversation. 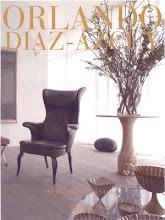 Every piece in his collection is a glance into the civilization that created it. Anakha The Blue House, also along Sakkarine Street, has a beautifully edited selection of chic fashions in cotton, linens and silks. Highly recommend. Ock Pop Tock, a lively source for contemporary textiles crafted in traditional styles, is located next to Monument Books and a few steps from L’Elephant café. Colorful scarves to wear immediately. Pleasant to visit in the evening. In the same old colonial building, Passa Paa offers textiles and furnishings that are chic and worldly. The Language Project, situated near L’Elephant teaches English language skills, computer technology, and filmmaking to local students. Visitors can help by (with permission) chatting with groups there who can practice their English. Most inspiring. I often dropped in. Carol Kresge, the kindly director, originally from the mid-West, runs a tight ship and students here become highly skilled, some of them getting excellent jobs (I encountered a former student at La Résidence Phou Vau) or studying abroad with assistance from US education initiatives. I loved meeting these motivated students. Big Brother Mouse, near Wat Nong, publishes illustrated books for children in Lao and English and has many projects to promote literacy, learning, language skills and confidence in speaking Lao and English. This group also loves to have travelers drop in after 5pm to join conversation groups, to speak to students, to inspire, chat and practice English. Most inspiring. www.bigbrothermouse.com. I loved the quiet refuge of Amantaka, and contrary to my usual avoidance of hotel cuisine I enjoyed most meals there, either on the airy terrace or along the quiet veranda. My favorites: off-the-menu vegetarian dishes including a lightly spiced silken tofu soup. At the suggestion of Amantaka front office manager, Berenice Olmedo, I enjoyed steamed rice/wok fired vegetables with the special Lao tomato Sauce "Jeaw Marklen" Olmedo had the kitchen prepare this for me. Perfection. I stopped in for pastries at Le Banneton in the afternoon. Cafés I recommend include atmospheric Ban Vat Sene, along Sakkarine Road, owned by L’Elephant. It’s casual, with pastries, books and magazines, wireless Internet, a great mood. I found two inspiring poems by Buddhist poet Thich Nhat Hahn, born in Vietnam 1926, and considered one of the great contemporary thinkers. 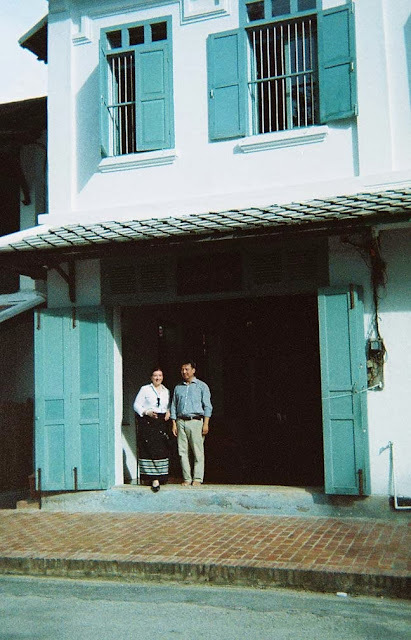 Both poems relate to my experience of Luang Prabang. ‘Cambodia and Laos’ from the excellent and detailed Eyewitness Travel guide series by Dorling Kindersley (2011). 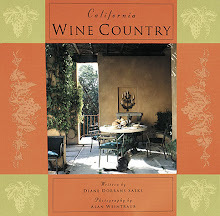 The Eyewitness series focuses on architecture, history, culture and highlights. Useful for planning and reference. 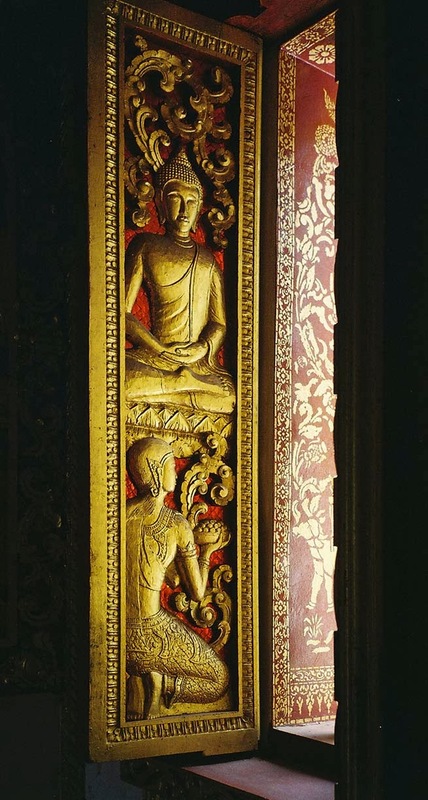 ‘Ancient Luang Prabang’ by Denise Heywood (River Books 2006). 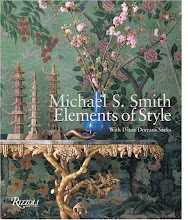 An especially informative guide to the sacred temple architecture, important buildings, textiles and other living arts and crafts, costumes. Highly recommend for architects and designers. ‘A Fortune-Teller Told Me’ by Tiziano Terzani (Three Rivers Press 2007). 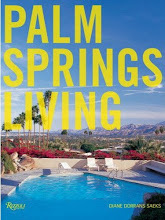 Thoughtful and insightful memoir of traveling in Asia, and features Lang Prabang. ‘A Dragon Apparent Travels in Cambodia, Laos and Vietnam’ by Norman Lewis (first published in 1951). (Eland Press). 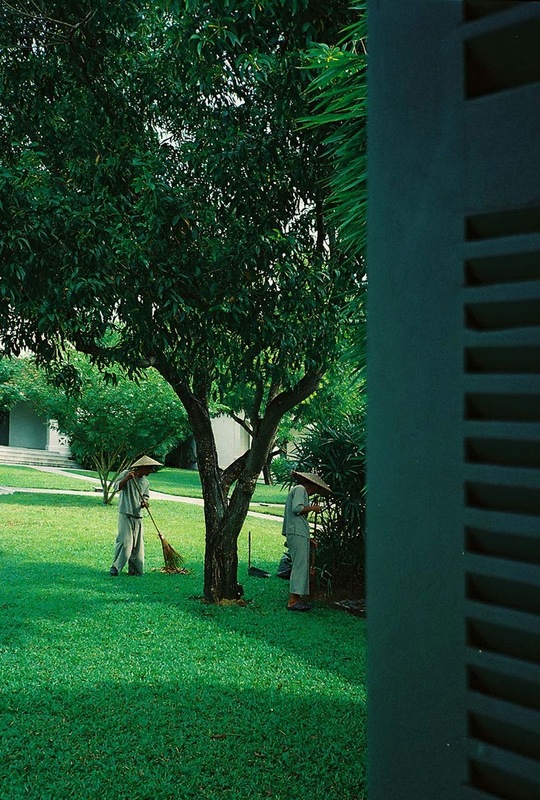 The English travel writer explored Indochina in the forties and fifties. Useful for background and a sense of place. The Dr. Siri Paiboun series of detective novels by Colin Cotterill. Highly recommended. 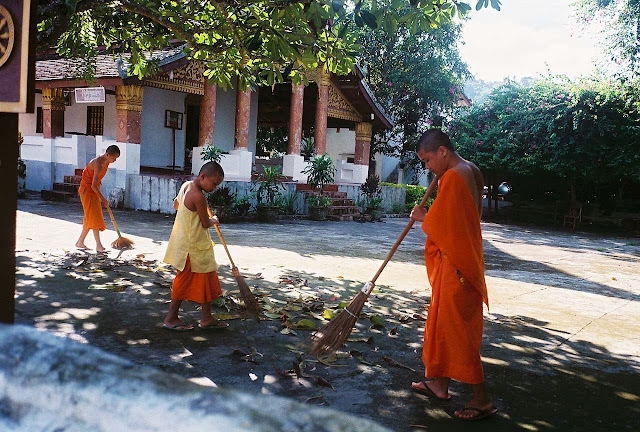 NEXT WEEK: My post introduces the great Hans Georg Berger, the Berlin-based but peripatetic photographer of the sacred in Luang Prabang. I will present Hans’s inspiring images from his time spend studying the lives, practices and daily Buddhism of Buddhist monks of the region. His books and writing are rich in meaning, observation, inspiration. 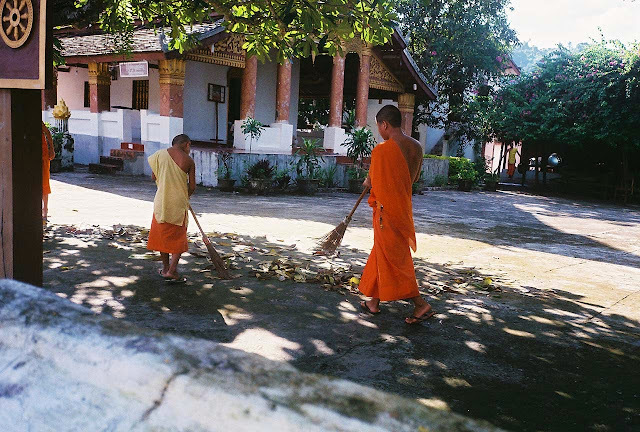 Through his eyes, you will see the extraordinary richness, beauty and simplicity of Luang Prabang—and their contemplative and devotional way of life. Photographs of Luang Prabang, the town, temples the Mekong River, and town scenes by Diane Dorrans Saeks. 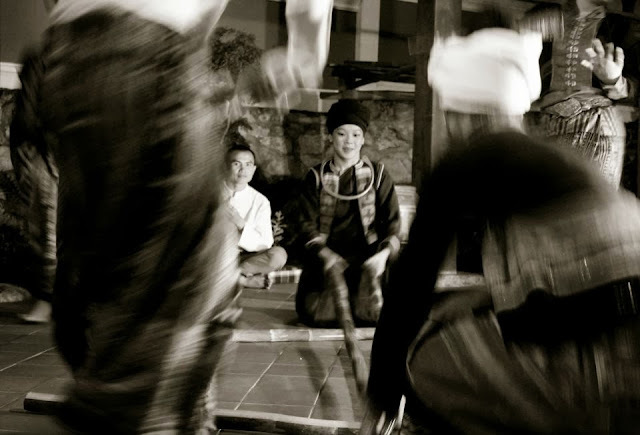 Additional photography of Luang Prabang and festivals by Bere Olmedo, used with permission. 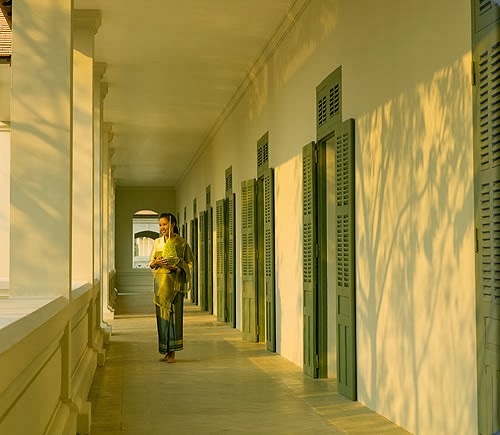 Amantaka and Images of Luang Prabang, courtesy of Aman Resorts. Used with kind permission. Wow - incredible voyage...for me, too! Have a book on the golden temples there - would LOVE to go. Can't imagine what the atmosphere would be like! THANKS for this extensive posting....more than a simple blog entry! 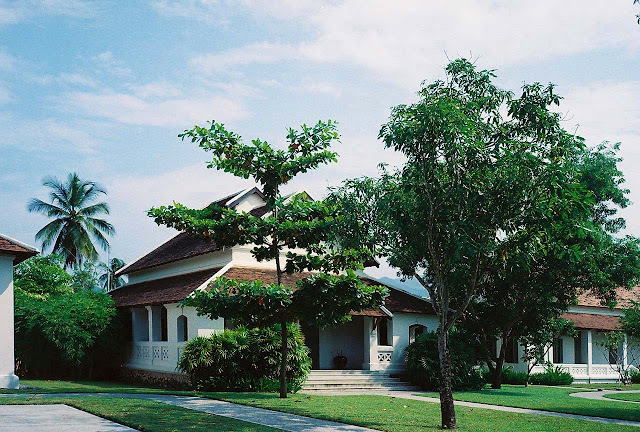 Yes, the 'where to stay' concept is always personal and entirely a personal selection. I like hotels that are quiet--and where I know I will be well taken care of--meaning that they can offer private access or meetings with experts or that they have staff with special knowledge or expertise. 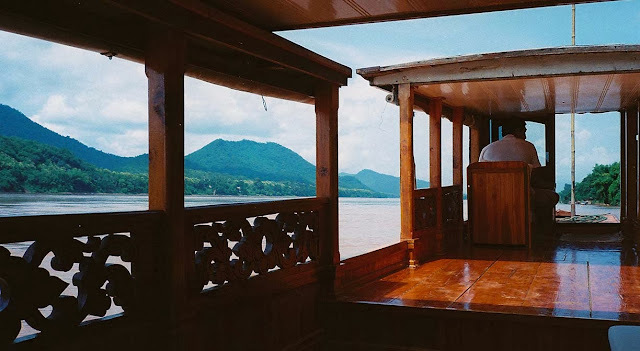 It's this 'private access' and 'local specialists' that Aman does well…I loved the river cruise, just me and the driver and steward…no distractions. Silent. Moving up the river to who know's where. I liked the quiet approach at Amantaka. I looked at some of the pensions along the river…and you are right that the location and the river are compelling. You will like next week's post of exclusive images. 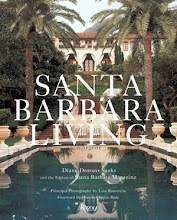 I LOVE the photography Diane, and this is a very inspiring piece on a very mystical place. Thank you for sharing this with us. Luang Prabang was a marvelous discovery. It's the kind of place you visit for the first time--and want to stay there to live and work on charity projects for local children. Laos is emerging--I hope you go there soon. I just took a moment away from my desk to read your travelog on Luang Prabang. I took my children on a quest through Asia for close to 10 years in a row. One of the first country we visited was Laos, spent time in Ventiane, rural areas and Luang Prabang. It was love at first sight. My children interacted with the few monks who spoke french or english, we would rise early every morning for the offerings. We stayed in the town, in the hotel that was run by the last surviving princess of Laos, the entire royal family having been killed. You wrote a beautiful tribute for a beautiful country indeed. I long to return. How wonderful to hear of your travels in Asia. I did not go to Vientiane--after hearing from a very reliable source that it is very changed and built-up and over developed. I'm glad I spent all my time i Luang Prabang. I have two more posts following in the next 2 weeks. You will love--and feel reminiscent of your voyage. may I say that I admired your very unique way of presenting the complex story about Luang Prabang in such a pleasant, communicative and bright way...This is a rare achievement! I like the friendliness that is in all your attitude, in every word. Warm. I am particulary happy you gave such favourable credit to Berenice. She is a very special, very gifted young lady, and Amantaka must be very glad to have her working there. They have a good team now, and Berenice is leading her staff in a wonderful way. I also liked VERY MUCH the previous blog on Hockney and Zorn. Great and informative choice if images. 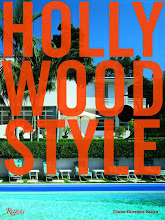 this is has to be one of best articles I've read on The Style Salonist...absolutely divine in so many ways. I was glad so to hear from you the other day. S just left for SF this morning, he will bring R with him back for Xmas. never stopped or forced any business from withdrawing any of their business initiatives. followed by SMBs to prevent the attacks are:.